MailPoet has developed its own free tool called Mail Tester. 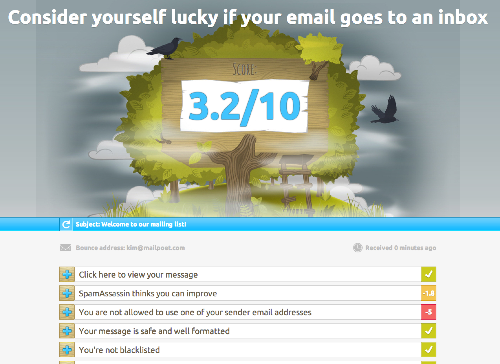 Mail Tester is very useful for determining your "spam score" or likelihood of ending up in the spam inbox. 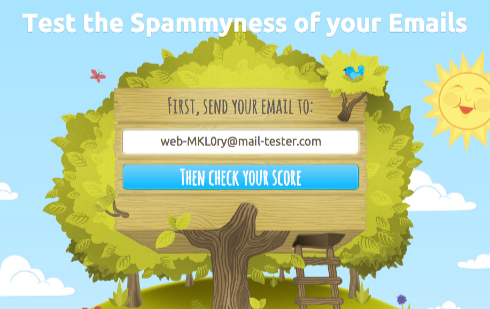 The lower your spam score, the more likely you will be flagged as spam. 1. 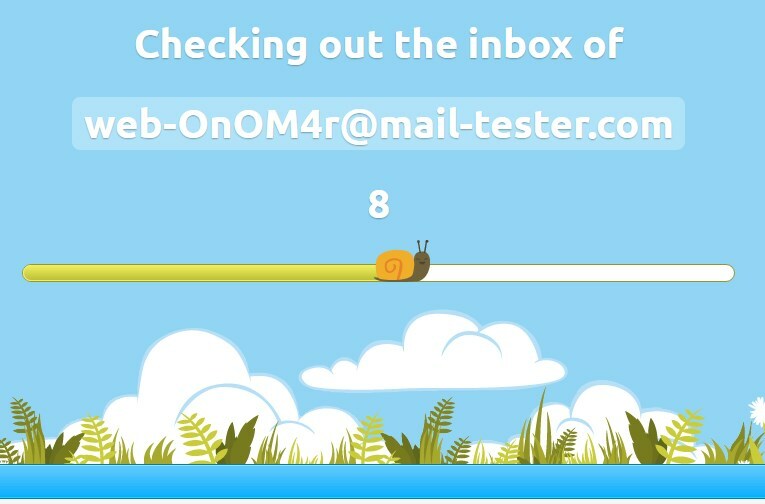 First, visit Mail Tester's website and copy the email address on the home page. 2. Go to the Newsletter Designer page in MailPoet. 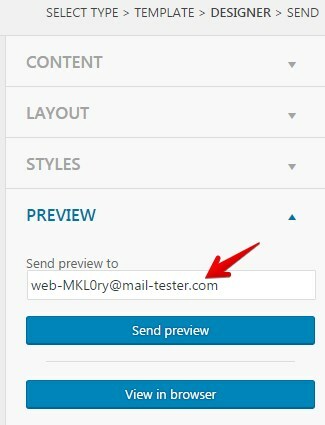 Paste the email address from Mail Tester into the Preview panel text input on the tools sidebar and click Send preview. 3. 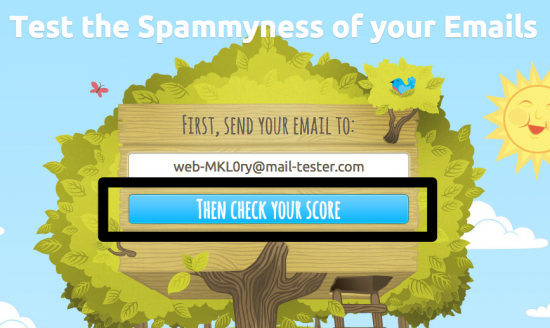 Then, return to Mail Tester and click on the button "Then check your score". If you see this page, it means your current sending method is not working. We suggest you try a different method to send your newsletters. If your score is above 7 or 8, you will probably be fine. To make sure, simply ask a handful of your subscribers if they get your emails. You are blacklisted. Read here why we don't recommend you send with your own website. DKIM is not set up. Read more about Email authentication. Your newsletter has some bad keywords according to SpamAssassin.